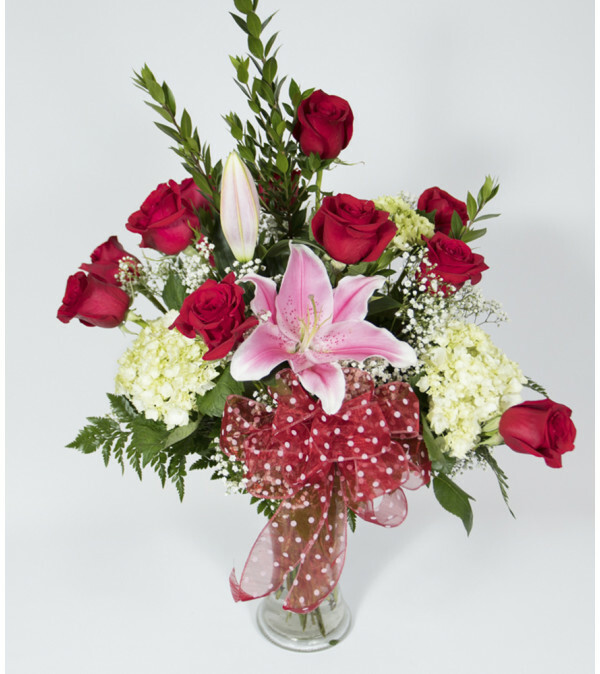 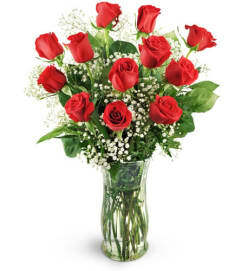 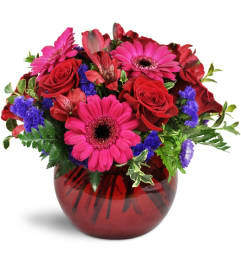 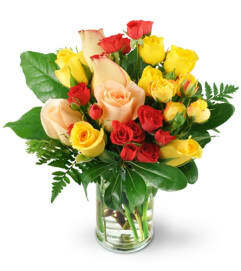 This is an upright vase arrangement of a dozen long stemmed, wired, Ecuadorian roses. We will add ribbon work and butterflies. 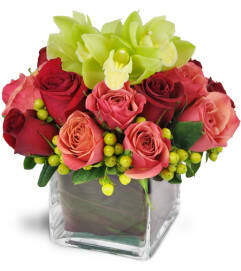 We will always use the color of rose that you choose And if there is any issue, we will contact you.